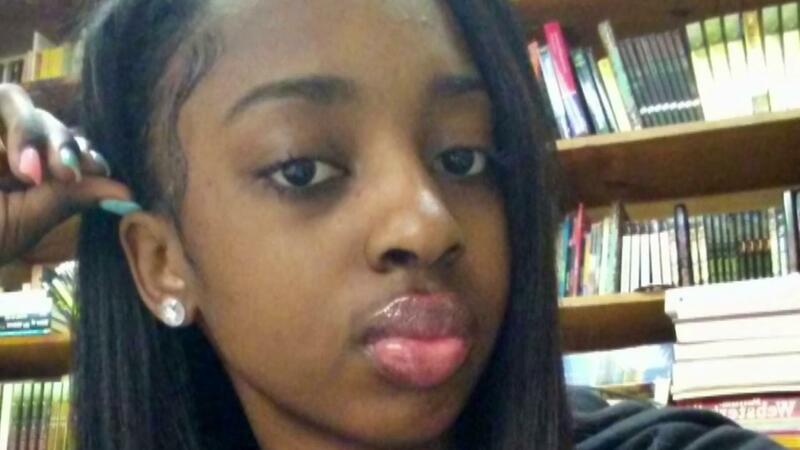 CHICAGO -- Kenneka Jenkins, a 19-year-old from Chicago, was found dead in a hotel freezer over the weekend. Now her family is pressing for answers as authorities investigate her death. Jenkins' body was found inside a walk-in freezer at the Crowne Plaza Hotel in Rosemont around 12:30 a.m. on Sunday, CBS Chicago reports. Her family said she went to a party at the hotel with friends late Friday night, but then went missing. They said her friends called around 4:30 a.m. on Saturday morning to say they couldn't find her, but had her cellphone and truck keys. Tereasa Martin, the teen's mother, said she tried to get hotel staff to search surveillance video for her missing daughter, but they said they needed a missing person's report. She says police told her to wait a few hours to see if her daughter turned up. Some hours later, they filed the police report. After an 11-hour search, hotel staff found Jenkins dead in the freezer after police contacted management about the missing person's report. The family said investigators told them surveillance video from the hotel appeared to show Jenkins stumbling around after heavy drinking. Police told them she might have been trapped in the freezer by accident -- but the Jenkins' family disputes this. "The freezer door is heavy. I worked in a cafeteria before. It's no way if she's drunk, and they saying she's stumbling, so she don't have no strength," her sister, Leonore Harris, told the station. "That's my baby sister. How can I live life knowing I'll never see her again?" An autopsy could not determine the cause of death Sunday. Authorities with the Cook County Medical Examiner's office said it could take weeks to determine the cause of death. Rosemont Police say they are interviewing everyone who had contact with Jenkins on Sunday. They're also reviewing Facebook Live video that some believe show Jenkins with friends on the night she went missing.